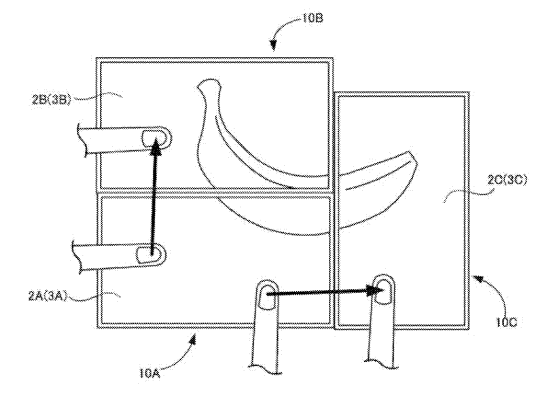 ...and with that, the banana-rubbing patent has come full circle. 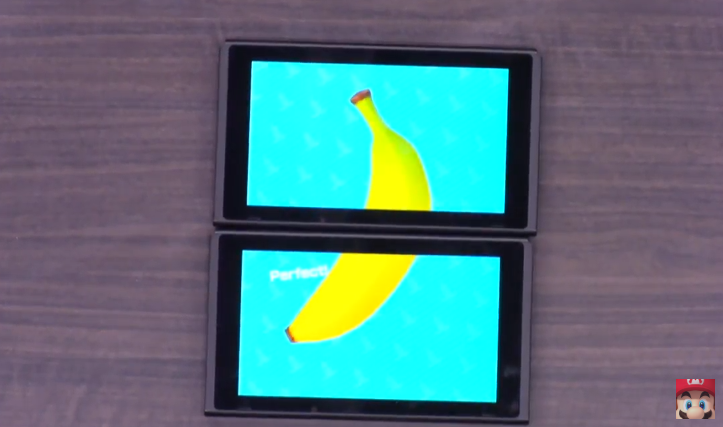 Many people noticed that Super Mario Party utilized the ability to place two Switch units together in tabletop mode to play some unique mini-games. This was the confirmation of Nintendo putting to use a patent that showed Switch-like devices being placed by one another on a table to interact. Now today, we see that Super Mario Party actually features the game that was documented in the Switch patent, where you're connecting images of bananas to make a full banana across two screens.